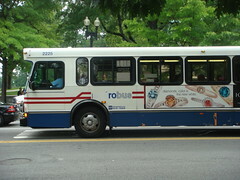 Avoid the area at Connecticut Ave NW and Florida Ave NW as a female pedestrian was truck by a bus there this morning. It’s not clear at this time if the pedestrian or bus driver are at fault. The woman has been transported with life threatening injuries to GWU Hospital Center.